What Kind of Group Work Encourages the Most Original Thinking? 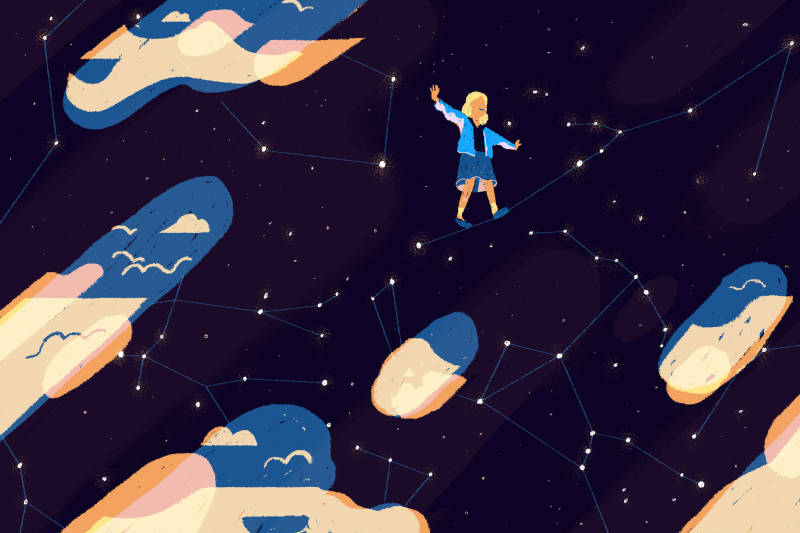 Grant writes about the importance of getting kids to take risks, to embrace their own curiosity and to be confident in where their minds wander. So how can adults create spaces and cultures of originality to breed these new ideas? 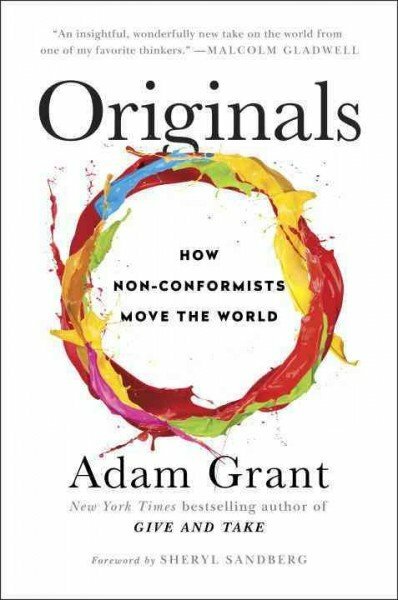 In the book you talk about how taking risks can lead to original ideas. So how can parents facilitate risk-taking with their kids? Well, I think one of the biggest mistakes that a lot of parents make is they spend all their time enforcing rules, and I'm guilty of this. Every time one of my daughters misbehaves, I'm like, "New rule!" And then I don't end up doing a whole lot with it. But the sad thing about rules is that they don't teach kids to think for themselves. And kids try to figure out how they can either avoid taking risks altogether, or to take risks that they can get away with. As opposed to learning to take sensible risks that will allow them to try new things. When you study the parents who raised kids who go on to do greater things — like become some of America's most creative architects — you see this. That they focus much more on teaching values than rules. Instead of, "Here's the list of things that you're allowed to do and not to do," they say, "Here are the principles that are important in this family, and let's talk about how you want to express them." And kids then end up defining the values for themselves, and are much more likely to go against the grain and take risks that allow them to live by these values but don't necessarily match up with conventions or social norms. And the upshot of that is, they're much more likely to become original. So what about having kids do chores? Is that a bad practice? No, of course you should have your kids do chores. So what you see is that enforcing a bunch of rules is not a problem as long as you explain why they matter. So it's not about saying there are rewards and punishments. It's about saying, "Here are the rules we have. And this is what they mean to us. This is how they really connect with our core values." That kind of sounds like talking to kids like adults? Kind of explaining the background of things? Yeah. It's very much about raising kids to have responsibility. So, you know, when your kids are going to do chores, you say, "Look. This is why it's important to us to have a neat and clean house." Or, "This is why we care about respecting our things." And then you give your kids some responsibility and guess what? They actually love it. It's the idea that they can be in charge of things. That they can be helpers. That they have something to contribute. If you frame it right, you're doing them a favor, right? As opposed to, sort of, constraining their freedom. Are there ways that schools or school leaders can incorporate some of the things in your book to create a culture around originality? I think there are lots of ways. So the first thing is that there's some really cool evidence showing that kids are much more likely to think in original ways if you teach them in conditionals rather than in absolutes. So instead of saying, you know, "This is a book," you teach them, "This could be a book." And then they're more likely to ask questions about the things that they say as opposed to assuming that there's one right answer. We could do a lot more conditional teaching. I think we could do a lot more encouraging kids to ask questions about multiple possibilities as opposed to searching for the one correct answer. Any other suggestions for teachers? I think another thing that I would love to see teachers do more of is called the jigsaw classroom. So, [a] classic study: Back in 1971, this great psychologist, Elliot Aronson, wants to reduce prejudice in Texas when schools are desegregating. And he says, "Maybe we could get kids to listen to each other and respect each other if we gave them group projects where they had to put together pieces, just like a jigsaw puzzle." So let's say you're writing a biography of Eleanor Roosevelt as a group and then you're going to present it. And there are four of you. One of you is going to take ownership over her early years. Second, her early adulthood. The third will get middle age. And so on. And then you each have to bring a written piece of that project together and then you each have to deliver your segment on it. We found when kids were assigned to put these projects together in jigsaws, they became less prejudiced. They were less likely to stereotype each other. Even if you were working with someone who had an accent that was unfamiliar to you or who looked different from you, you were much more likely to say, "Wow, you have some real insights to bring to the table. I did not know that." And I think that this is a great way to nurture original thinking, too. Because it gives every child a chance to approach a problem from a novel vantage point and say, "Look, I can say anything I want about, you know, a decade of Eleanor Roosevelt's life ... what's interesting to me? And what do I want to zoom in on?" As opposed to looking for one way to do it. And I think that kind of model is pretty great for students. That gets me thinking about group work in general. How does working in groups contribute to original thinking? You know, if you look at brainstorming research, we've got, now, almost half a century of experiments and field studies. What you see is that if you take five students and put them in a brainstorming group together, you will get fewer ideas and less original ideas than if you had taken those same five students and let them work independently, in separate rooms, by themselves. And teachers find this maddening when they learn about it, because it goes against the idea of teaching teamwork and two heads are better than one. But there a few things that happen that make brainstorming groups less than the sum of their parts. One is called production blocking, and it's the basic idea that we can't all talk at once. And as a result, some ideas and some students just don't get heard. Two, there's ego threat, where kids are nervous about looking stupid or foolish, so they hold back on their most original ideas. And then, three is conformity. One or two ideas get raised that are popular. Everyone wants to jump on the majority bandwagon, as opposed to bringing in some radical, different ways of thinking. You put kids in separate rooms, what you get is all of the ideas on the table, and then you can bring the group together for what the group does best, which is the wisdom of crowds. The evaluating. The idea selecting. The figuring out which of these ideas really has potential to be, not only novel, but also useful. And I think that's where you teach kids to work together effectively in groups. You say that individual idea generation works together really well, but then the group can come together to figure out which ideas to really bet on. That technique is actually called brain writing. Instead of brainstorm. It's a great term and I think we should do more of it. Have there been any changes in your own classroom at Penn that have come out of the research from this book? Anything that you've implemented or that you've changed in your teaching style. All right, so a couple of years ago, when I was writing Originals, I took a look at my syllabus and realized that I was not doing a good job of getting students to think in original ways. I teach a whole course that's evidence-based management. So it's psychology applied to work, where students are supposed to learn what the best data can tell them about how to lead and manage and operate differently. And I wasn't creating many avenues to let them challenge the assumptions that we were bringing in. So I decided I was going to shake things up a little bit, because I don't enjoy being a hypocrite if I can avoid it, and I assigned them to work on their own mini TED Talk in pairs. Every student had a partner. They were supposed to film a video of five minutes or less on an idea that they believed in that went against the grain or challenged conventional wisdom. They can pick any topic in the course, but they had to champion a message that was counter-intuitive, and you know, bring some evidence and experience to bear on it. And I was blown away by how interesting and novel their ideas were. And I realized that they had all this latent potential for thinking outside the box that I was stifling by just asking them to apply course concepts to their problems. And I've been doing this assignment ever since and I think for many students, it's their favorite project in the course. So it would be remiss for me to fail to mention my favorite part of your book: Procrastination can lead to originality. What do teachers do with this? What have you done with it in your classroom? Look, let me confess. I am a precrastinator, not a procrastinator. That's an actual term for someone who likes to dive into things as early as possible and finish them ahead of schedule. And I have always worn this like a badge of honor. I finished my doctoral dissertation two years before it was due. I wrapped up my undergrad college thesis four months before the deadline. And I thought this was a great way to be productive. And then I found that precrastination is a virtue for productivity, but it's kind of a vice for creativity. I had a student who did all this research in a bunch of companies showing that precrastinators like me, who did everything early, were less creative than people who procrastinated, as rated by their bosses. And then we followed up and did some experiments where we randomly assigned people to procrastinate, which is a fun task. After a lot of follow up research, what we discovered was great originality comes from being quick to start but slow to finish. That when you dive right into a task, you close yourself off to incubation. If you finish early, you're stuck only with your most conventional ideas, your first ones. You never have time to think outside the box. You also tend to think much more in linear, structured ways, as opposed to making these random connections and unexpected leaps that you do when you're putting off the completion of a task. So the lesson here is that you want to give students time to let ideas marinate. So when you're working on a creative project, having a due date that's a couple of hours later isn't always the best way to go. And that sometimes what you can do is you can assign a task. You can have them work on it. And then you can extend the deadline and say I want you to go back to the drawing board and consider all those unexpected ideas that you just didn't have time to look at before. And then there's an opportunity to open up a little more original thinking than they had before, but of course, if they procrastinate to the last minute, they're not going to be creative either because then they just have to rush to panic to do the first ideas as opposed to the most novel ideas. So can I confirm that on the record you are saying that extensions are a good thing? I don't think they're always a good thing. I think we need to strike a balance between training students to get things done and training them to wait for the right time. How's that?